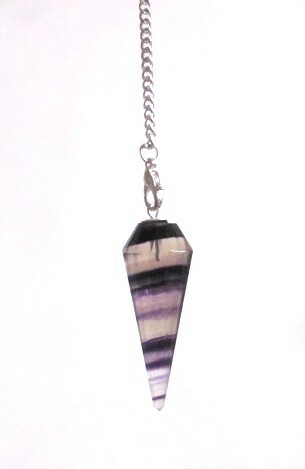 Multi Flourite 12 faceted Pendulum is awe-inspiring and breath-taking. It will make a superb gift for your loved ones. Order this lovely pendulum on Natural Agate.